GoProvidence.com and the Providence Journal bring you Small Bites: Easy-to-Digest Recipes. Perry Raso from Matunuck Oyster Bar took time to teach us how to shuck oysters for our Small Bites video because he believes in promoting all things bivalve. "Local oysters give you a taste of Rhode Island," he said. Start with the right knife. He likes the New Haven shucker, a style of knife that has an upturned tip to get into the shell. He likes its curved blade and that it is rigid. 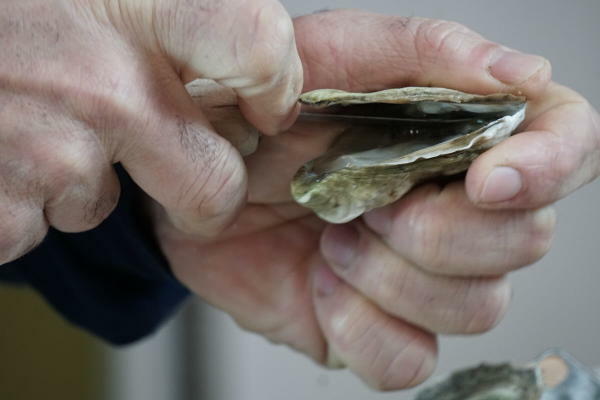 But even before shucking, he teaches, explaining the relevant parts to an oyster. There&apos;s the posterior and the anterior shells. The anterior is the flat side. There&apos;s the dorsal hinge where you will open the shell. 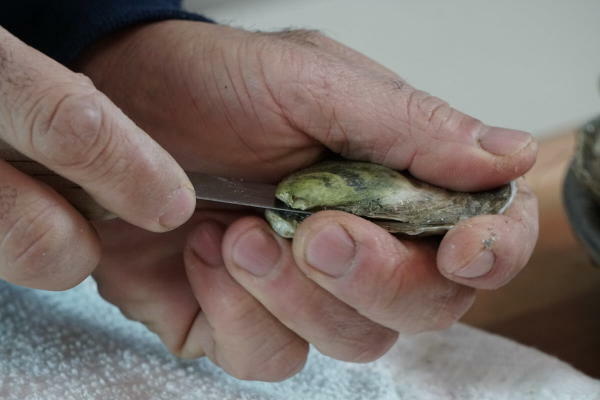 And there is the adductor muscle, which you scrape off the shell as the final shucking step. It is the adductor muscle that holds the shell together. Just for fun, he showed how the rings on the shell tell you how old an oyster is — one, two or three years old. Put the anterior or flat side of the oyster facing up. Hold it down with your left hand (if you are right handed). Use a towel to keep it in place so it doesn&apos;t slip. Insert the knife into the dorsal hinge, the area formed by the joined valves. Work in the tip of the knife and push up to pop the shell up. Roll the knife 2/3 of the way to the left to open it up. 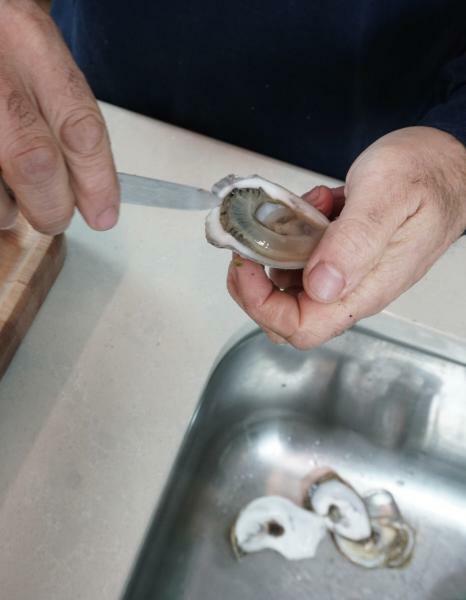 Once open, use the knife to scrape the last of adductor muscle so the oyster will be floating free in the liqueur, the liquid that surrounds it. You don&apos;t want to drain that liquid. Put the oyster on a bed of ice to serve. If that doesn&apos;t sound clear, you&apos;ll understand the value of the video.